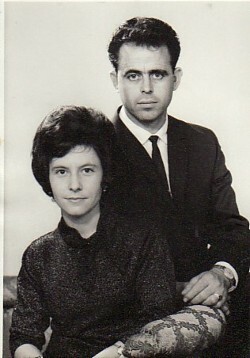 Above: My parents, Haralambos and Artemis. 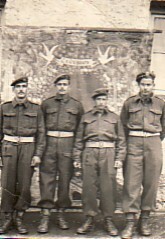 Above Right: A photograph taken my National Service; I am second from the left. 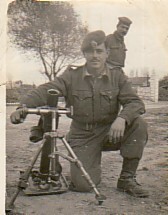 Above: Another photograph taken during my National Service. 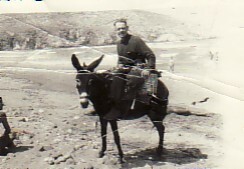 Above Right: My father, Haralambos, on Gavathas beach. Above: Athens, 1960. On my way to Australia. 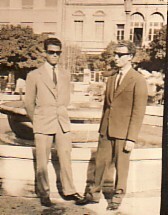 With Leandros Kalfas (right). Above Right: On Abercombie St, Redfern, Sydney. 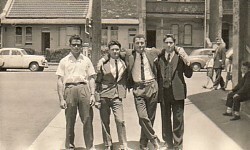 L-R: myself, Andonios Kapetanellis, unknown and Athanasios Koudounas. 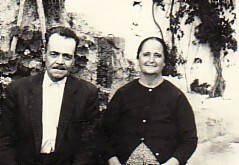 Above: With my wife, Maria. 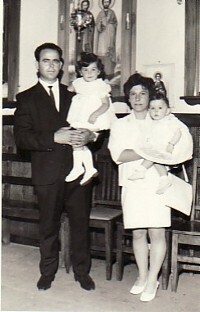 Above Right: With my wife, Maria, and my daughters, Paraskevi and Artemis.